The blue stripe print is brand new for this season and will play a significant role on the fashion scene. Eye catching and spot on, here seen on Miki skirt which is a part of a full striped set that is going to be so right this spring. 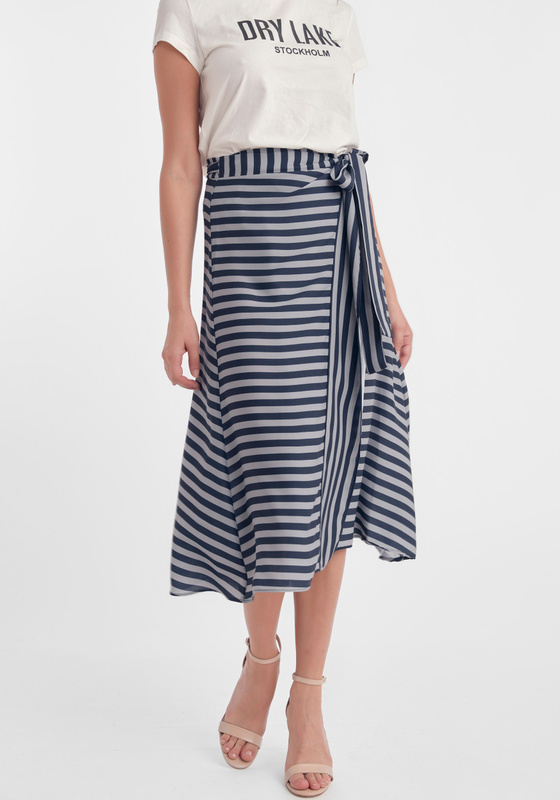 Miki skirt is a wrap skirt with adjustable tie bands in the waist. It has a flare along overlapping edge at the front piece with stripes running vertically. Match with Pauline top for the full set. 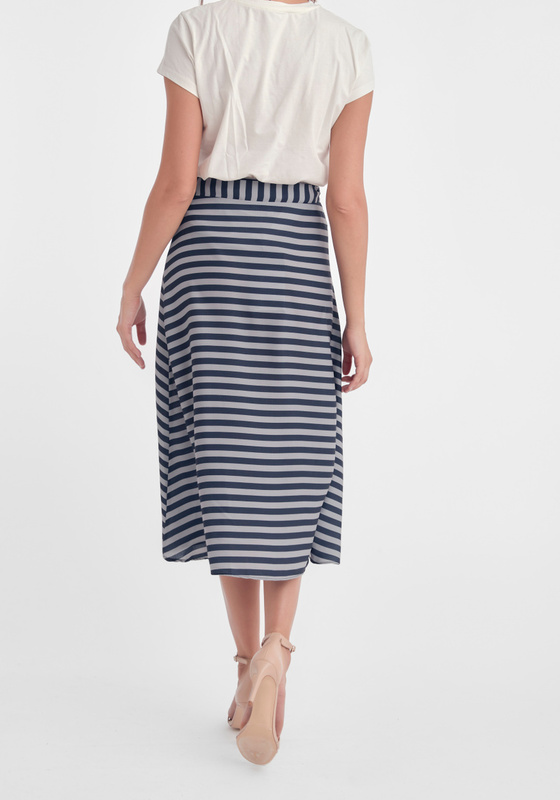 The skirt has no lining and is composed of 100% polyester material. Can handle machine wash. True to size. Works perfectly for that special occasion or in your everyday life.